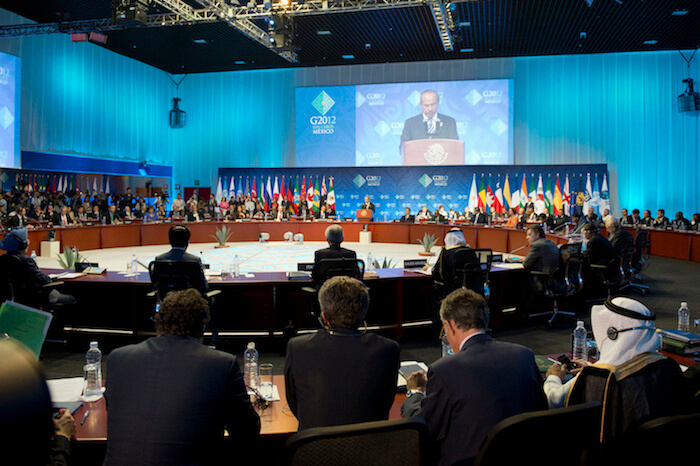 > 800 attendees, including global industry ministers. > Remote interpretation in 6 languages. 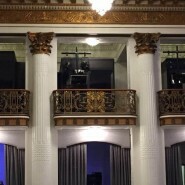 > Clean minimalist event space. 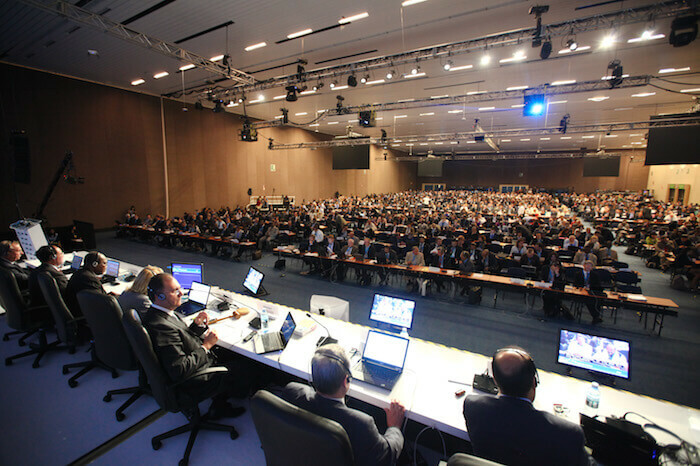 The seventh Clean Energy Ministerial (CEM7), follow-up meeting to the COP21 Paris, was hosted in San Francisco in June 2016. 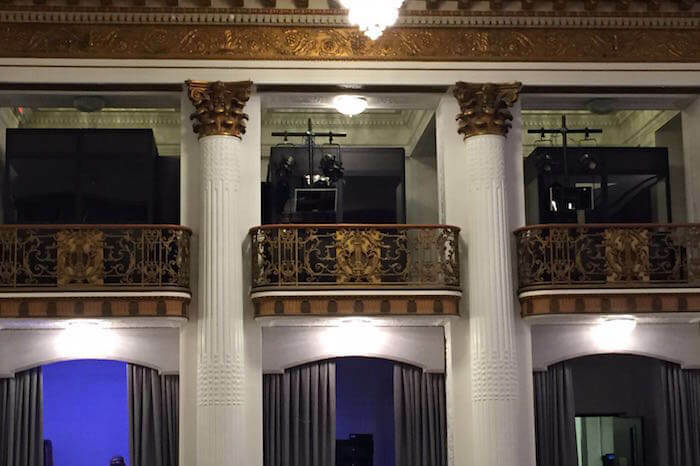 The conversation amongst key industry and government leaders ran smoothly with Conference Rental’s technology. 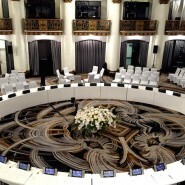 Meetings were interpreted simultaneously into six languages including speeches from notable attendees: California Governor Jerry Brown, San Francisco Mayor Ed Lee, and Congresswoman Nancy Pelosi. To ensure interference-free sound quality, digital infrared interpretation technology was used. 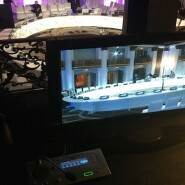 Various events were interpreted remotely from the main conference room with a video feed to the interpreters booths. 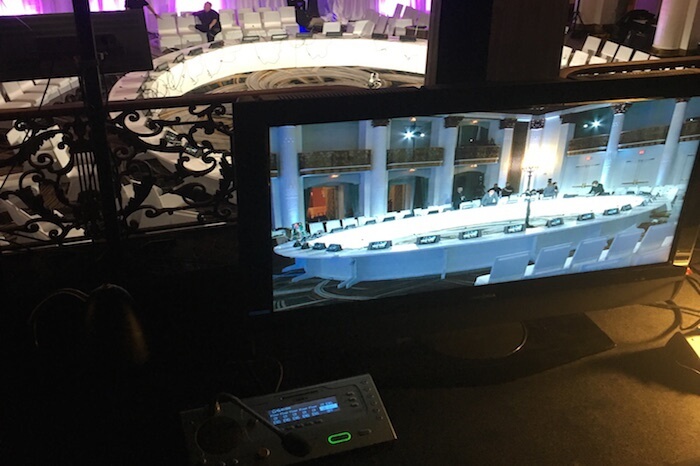 Key to the organization of this high-profile event was to equip the main roundtable with minimalist yet multi-featured microphones that would replace the need to have numerous presentation screens throughout the room. Conference Rental’s video delegate microphones with built-in display gave each delegate a clear and concise view of the meeting content, solving the inherent line of sight issues of the room layout. 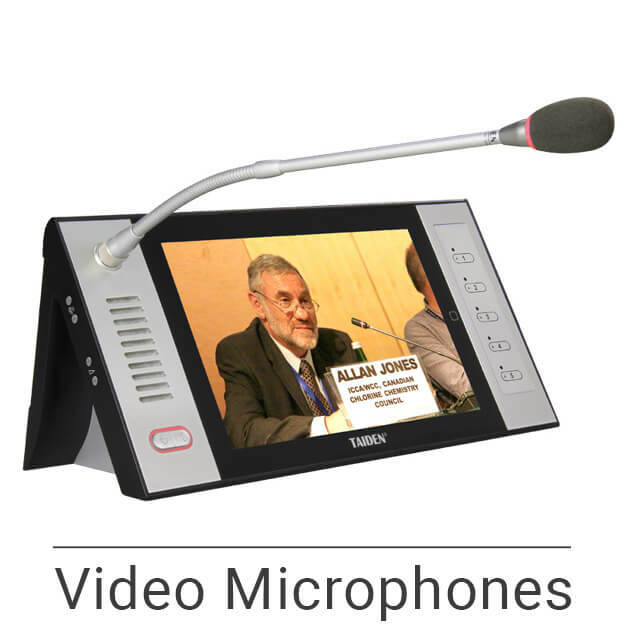 The conference unit was connected directly to the interpretation system, allowing delegates to select their language channel directly through the video microphone.